Watching a family that has not been together in the same country for more than 10 years become reunited is a pretty special thing. Eyes sparkle with excitement; voices and glasses are raised in happiness; the best holiday dishes are prepared; people dress up in their finery, and linger in each other’s embraces. 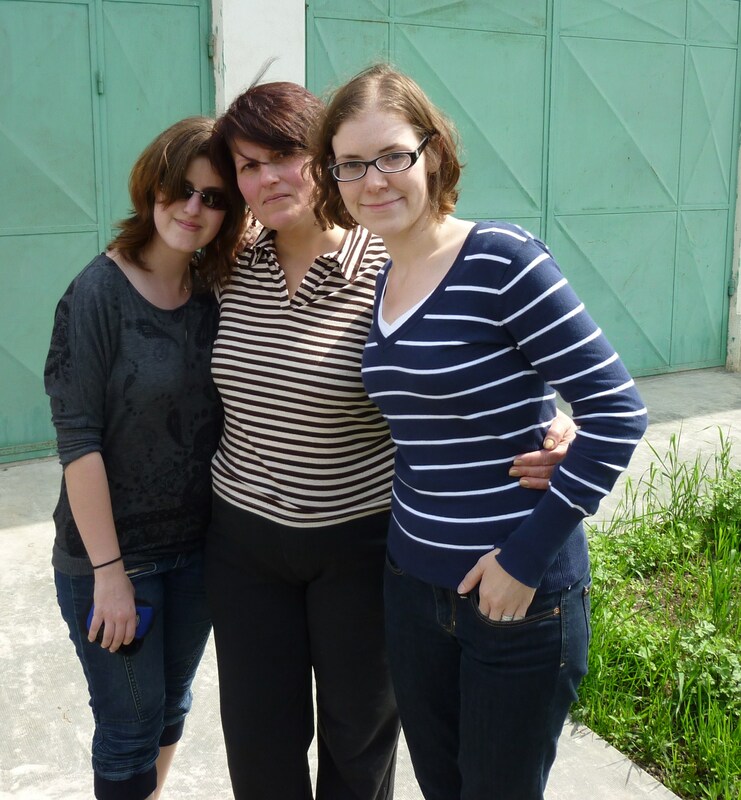 As a new member of the family, I felt very honoured to be brought so swiftly and completely into the fold — I was fussed over, fed like royalty, and told by Stelian’s grandmother (with the aid of a translator) “you are like one of my own.” On this trip, I learned how well you can connect with people, even when there is no common language. How cute and stylish is Stelian’s bunica? I aspire to be like her when I am in my seventies. She is a whirlwind of activity, always cooking things, feeding people, arranging things, bestowing gifts: she is apparently indefatiguable. 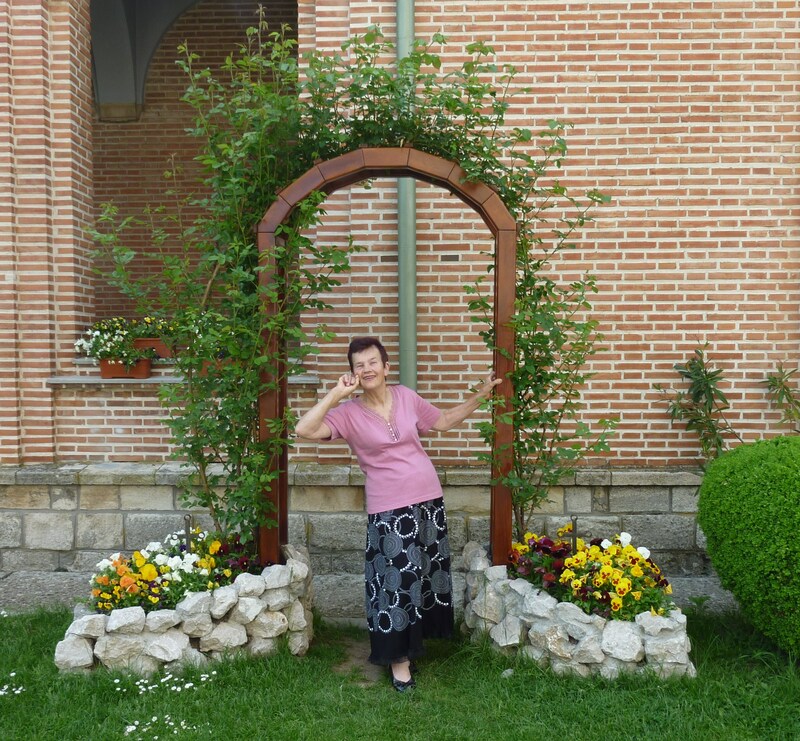 She and her husband, Stelian’s grandfather, have a property with two houses, one of which they built, in Targoviste. In their back yard, they have grape vines, cherry trees, and they grow a variety of other fruits and herbs. Since beekeeping is their trade, however, they spend a lot of time in other locales. They often drive late into the night when transporting their bees from one location to another. I marvel at their energy. These women know how to pose for a picture, don’t they? I think I have something to learn from this, though I’m unsure that I can pull it off. Simona is the younger sister of Elena (Stelian’s mom). Among Stelian and his siblings, she is known as “the cool aunt,” in the same way that my father, the youngest in his sibline, was dubbed “the cool uncle” by my older cousins. 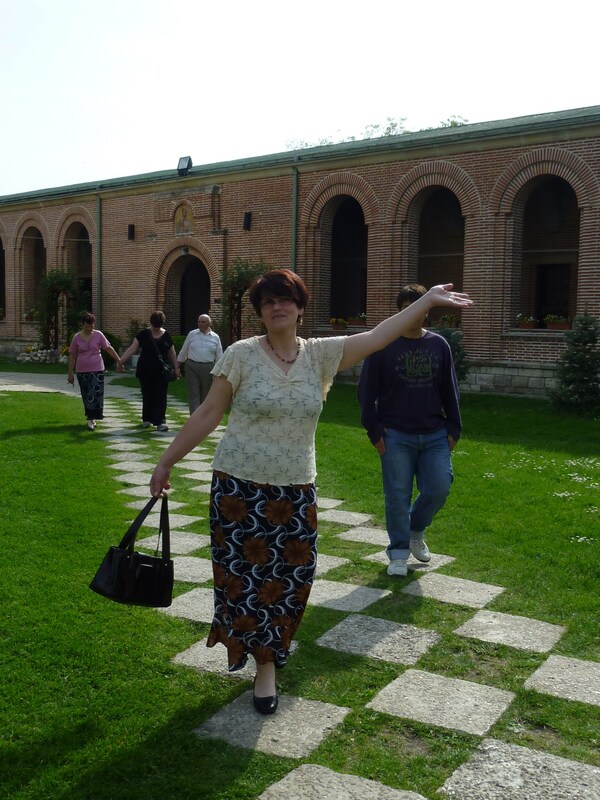 Simona was determined to show us a good time during our trip, and she did, by taking us to different sites, cooking us delicious food, and engaging us in good conversation (always faithfully translated for me by Stelian or Alex). 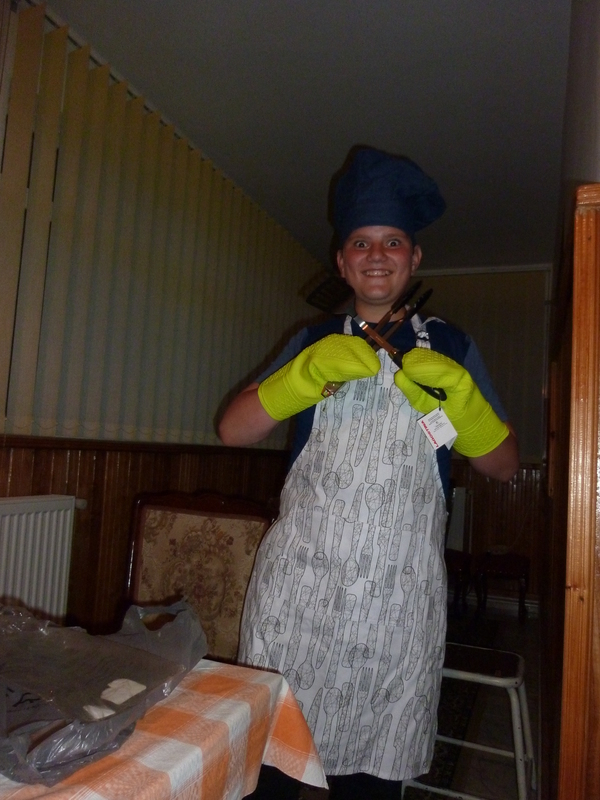 I mentioned in my last post that we twice feasted on an animal slaughtered by Stelian’s cousin. The animal was a lamb, and this really impressed me, since I’ve never known any member of my family to procure dinner in this fashion. “Do you think it was difficult for him to do that?” I asked Stelian. Stelian reckoned not, and regaled me with a story of Catalin trying to behead a chicken with a dull dinner knife when he was a small child (after the failed attempt, he returned, despondent, to his father and said something along the lines of “I tried to kill a chicken but it wouldn’t work!”). These kids grew up in the country, and, unlike me, have no illusions or mental defences relating to what food is and where it comes from. 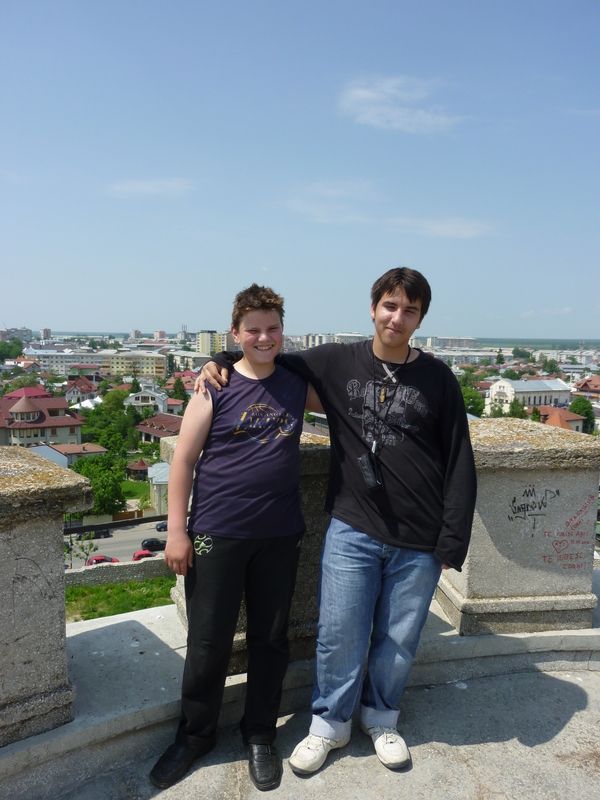 Catalin is close to finishing high school; he has a very shy and sweet smile and demeanour. His mother told us that he speaks very good English, but he mostly declined to speak it with us since he was afraid of making mistakes (I could well relate to this situation, since venturing to pronounce new words often earned me giggles and the comment that my Romanian was “so cute”). Stelian’s younger cousin, on the other hand, is not shy at all — gotta love those sibling polarizations. He and Stelian caught up instantly, even though he was a very small child when they last met, and he was soon discussing such topics as youtube videos that he finds “super-hilar” (this is a nice example of the mixed Romanian-English, or Romenglish, that I enjoy so much). We also discovered his penchant for the half-hour timeframe. He ran up to us the morning after we arrived and said, “the airport called — your bags have landed and will be here in half an hour.” They did not arrive until the next day, so maybe I should have been suspicious the next time I heard it…Stelian and Alex dropped me off at the Bucharest airport (I was leaving before the others so that I could be back in time to meet my sister), and they were to be picked up by their uncle and cousins, and driven back to Targoviste. Alex called as we neared the airport to check when they would be picked up, and was told by Dorin that “we’ll be there in half an hour.” They in fact had three or four hours to kill before their ride arrived. This is such a vibrant, fun and loving family…a joy to reconnect with, or meet for the first time. I mentioned that (among many other gifts) we received two litres of honey from them, but now that Stelian is back I have to amend the number of litres to six. Suffice it to say that we will be using more of the amber stuff in our cooking and baking. Good honey recipes, anyone? 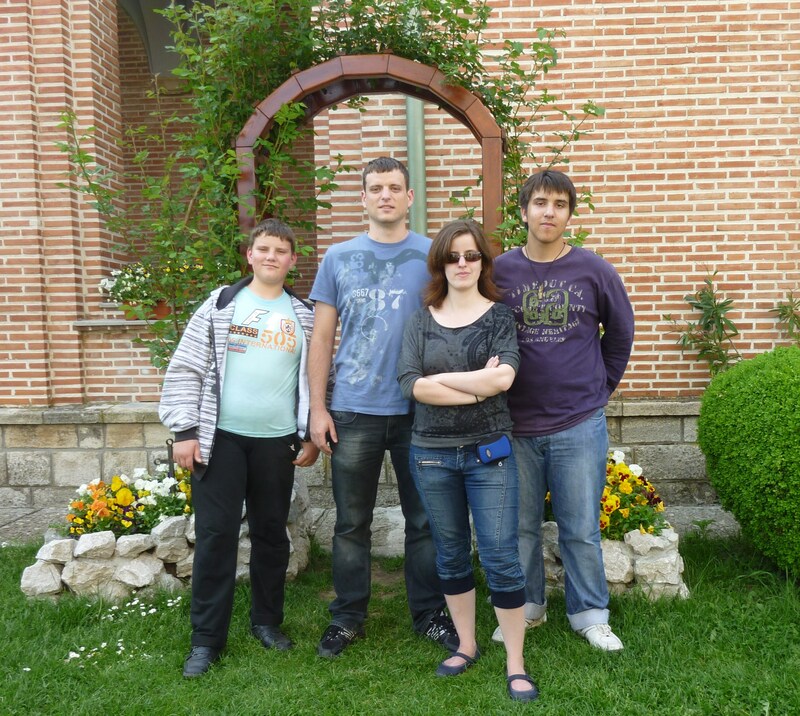 Here are some more assorted family pictures from the week (credit for most should be given to Alex, Stelian’s sister). 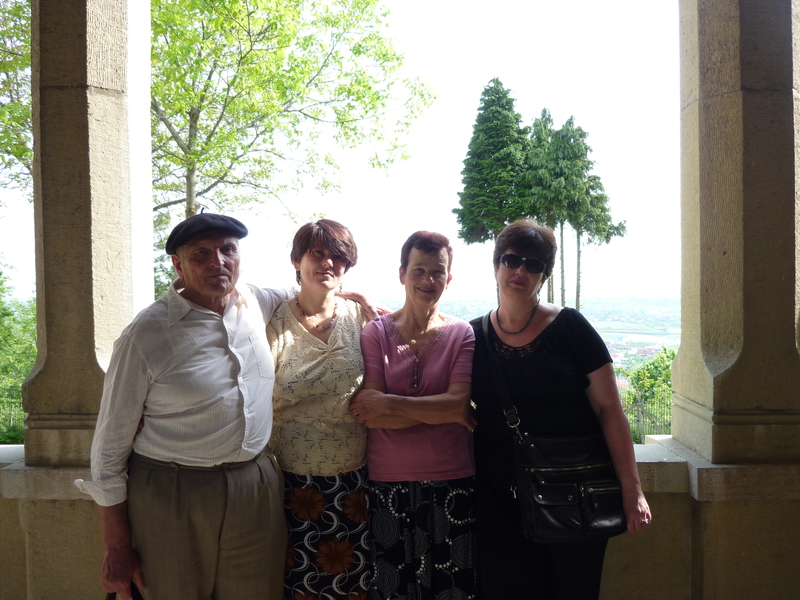 What a memorable experience to meet Stelian’s relatives in their homes! Bunica is a charmer in addition to being a whirlwind – what a joy to be welcomed as she did. I love your reference to “half an hour”. It’s like the suggestion that your destination is just “a mile down the road”. Wasn’t that fun for everyone to watch Pat’s convocation ceremony. We even managed a picture from the monitor. What a lovely bunch, Kristen! Glad you had such a good time.